MaidPro expands its presence in New York City with new Manhattan West Office. MaidPro Manhattan - West Office joins six other MaidPro locations currently serving New York State. We spend a lot of time seeking and training the best people to join our team. We believe active management and ongoing training are the keys to ensuring each cleaning PRO’s success and each customer's satisfaction. Attention Manhattan families and professionals: help has arrived. Thanks to MaidPro home cleaning, New York is now the City That Never Sweeps! 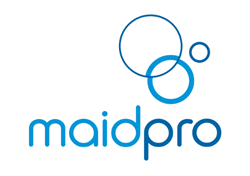 To get a complimentary estimate for housecleaning services from MaidPro Manhattan - West Office, please call (212) 244-0220 or visit http://www.maidpro.com/manhattan.